With its spire which rises 180ft above the ground overlooking the Long Sands, Tynemouth, St. George’s is an iconic landmark on the North East Coast. It is an integral part of the Coastal Heritage Trail stretching 3 miles from the mouth of the River Tyne to St. Mary’s Island at Whitley Bay. It is the first landmark to be seen by visitors travelling by sea, and clearly visible to those arriving by air to Newcastle airport. 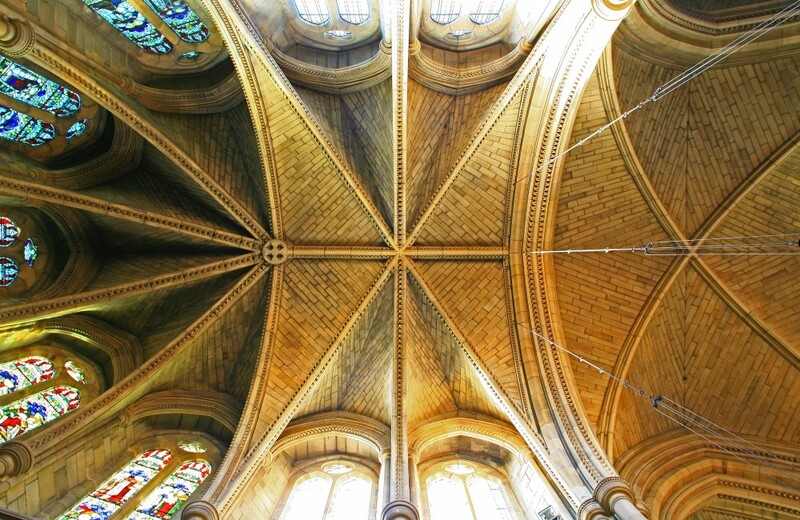 As a Grade 1 listed building our heritage rests mainly on the splendour of the work of our renowned architect, John Loughborough Pearson (1817 to 1897). Our heritage is further enhanced by the magnificent stained glass the work of Charles Eamer Kempe (1837 to 1907) and more recently Leonard Charles Evetts (1909 to 1997). In addition, we have a world famous organ by Thomas Christopher Lewis (1833-1915). 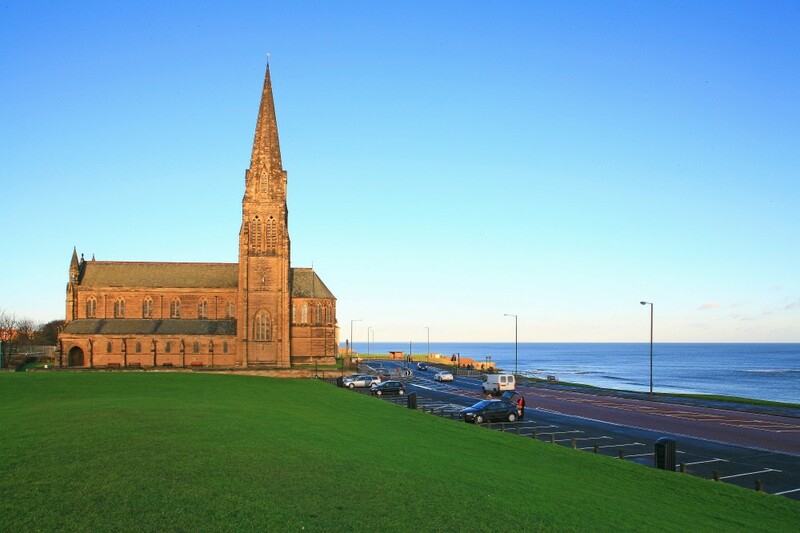 In the 1880s the sixth Duke of Northumberland began the planning for a church here in Cullercoats in memory of his late father, George, the fifth Duke. The foundation stone was laid in 1882 and the church was finally dedicated in 1884.